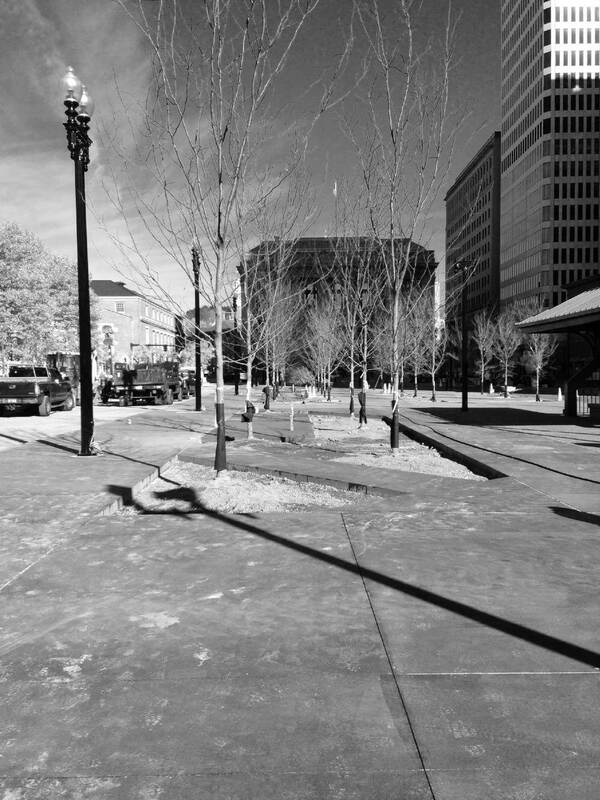 Construction at Kennedy Plaza is complete, and reopened last week. Above are a few photos during construction. 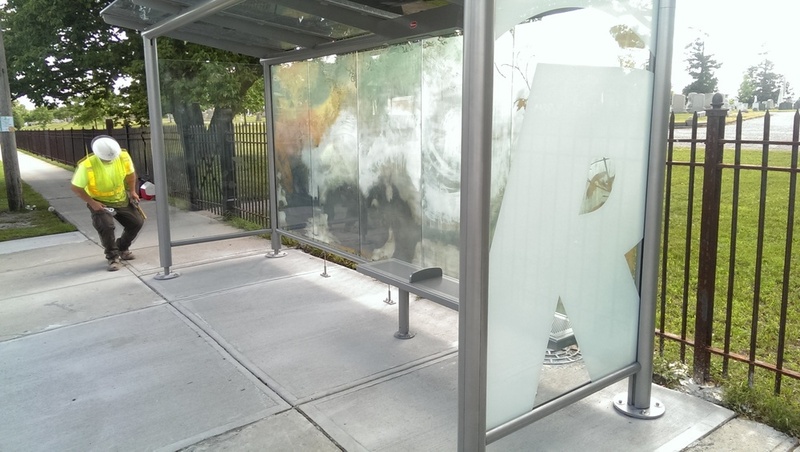 The existing bus berths were filled in to make a more cohesive and accessible plaza. Given the budgetary constraints of the project, we explored different ways to delineate space using concrete by treating it in different ways, ie standard pour, broom finished with alternating broom directions, exposed aggregate and saw cut concrete. Here is some of the press from today's ribbon cutting at Kennedy Plaza. More photos to follow. The first routes of the R-Line are almost finished! 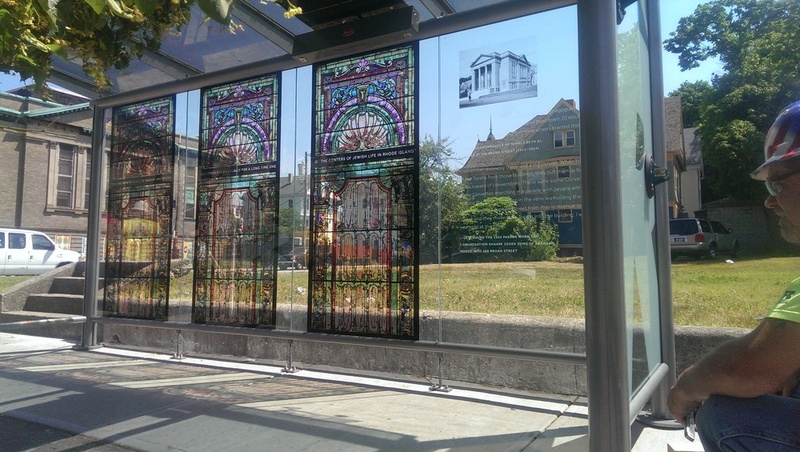 We've been working with the partnership between RIPTA, the City of Providence Department of Planning & Development, and the Department of Art, Culture + Tourism, to create guidelines for a new rapid bus line that incorporates art into many of the stops. Check out these photos of the first round of installs!